E or H, I can't decide. Michael Pachter brought Mighty No. 9 up in the newest episode of Pach-Attack. His Professional Opinion: It looks like a poor investment for backers. He's not sure if it's actually infringing on any of Capcom's patents for the Mega Man brand (especially what differences there are in U.S. & Japanese patent law), but from what he's seen of it, it looks like Capcom MIGHT have a case to sue, which while not all that likely, should be more than enough for potential backers to think twice (on the off chance that Capcom does sue, & wins, backers will be the worst off. No game for their efforts, & no money back, as it'll be used for legal fees). His Personal Opinion: He doesn't personally understand the attraction of the Mega Man series, let alone this (he mentioned the MM series is ridiculously hard), and said quote: "If you actually care about Japanese s***, buy a Wii U instead of backing this, as Nintendo sure as h*** needs it." If that is what Pachter thinks then I am glad I dropped a bunch of money on it. I used to hate him vehemently, until I actually started watching Pach-Attack. Now, I don't agree with everything he says (especially his comments on this particular game), but I also find that he's also taken out of context a lot (especially when NL quotes him), and he isn't AS bad as most seem to think. I've also come to think that he doesn't personally dislike Nintendo, just some of their more recent business decisions (he's admitted that Nintendo games, especially Mario, do have a certain "magic" about them that you won't find anywhere else. Of course, you won't see NL posting that ). If there's anything he dislikes (or at least doesn't "get"), I'd say it's the Japanese industry as a whole, rather than Nintendo specifically (other than his comments on Mega Man, I remember him saying something along the lines of Final Fantasy being way too weird for him, and not getting how people can get into it). I can kinda see his point as he is...basically the same character. It's Oswald and Mickey all over again basically. But I don't think Capcom can afford any more bad press. Here's the thing, Capcom would have already sent a cease and desist. This isn't happening. Companies don't sit idle if they feel their IP is being infringed. They would have lawyered up Inafune in a heartbeat. There is no law against derivative games, you can damn near legally clone a game and get away with it. Pach is a financial analyst, a poor one at that, not a lawyer. Especially a copyrighttrademark lawyer. Here's the thing, Capcom would have already sent a cease and desist. This is happening. Companies don't sit idle if they feel their IP is being infringed. They would have lawyered up Inafune in a heartbeat. To Comcept? Have they really? I thought there would be coverage on that. also, saw all of the episode 0 documentary. It was nice. Oh, i misread his post. Now I just need my backer password. Anybody got an email from them yet? I'm waiting on mine. I was one of the many that didn't back up the project until later, so I don't expect mine any time soon. Same here. It'll take a week or so for all the emails to get sent, so we'll have to wait a while. 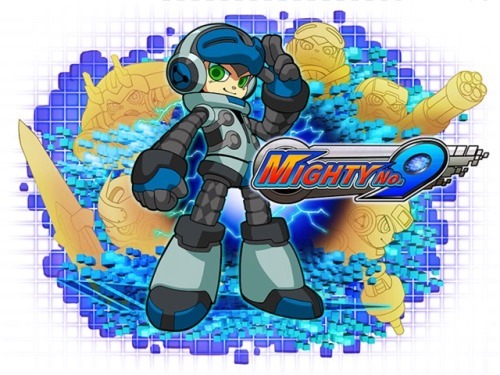 I'm pretty sure Inafune already stated that Capcom knows about Mighty No. 9 and has no problem with it's existence. I wish I could find a source, but when I google "Mighty No. 9" and "Capcom" all I get are links to pages discussing whether or not Capcom will sue or whether or not Capcom will publish the game. Just got my login information!!! I was one of the last backers so you late backers should be getting it any minute now. I doubt that Dina's inclusion to the designing department would change anything to the overall art style of the game... like gender-swapping Beck for instance. She'll be designing NPC's (along with other people in comcept) based on the style of what we've already seen from the original team so no, that fan-art she did will not represent the art style for the final build. I could care less that she's a feminist, a non MM player or the fiasco she did in Twitter, all I know is that the Heads of the project will not make major changes to the game just because a worker's GF wanted to. I don't have a say on her being the Community manager though, I don't intend to join that site anyway. All I know is that job acts as a bridge between the company and the audience and in no way will that affect the development of the game in the long run.